In this article, I will proffer opinions on police K-9 attacks on people from my perspective as an expert witness in animal behavior. For this purpose, I will use results taken from verdicts and settlements I am familiar with either as a retained dog bite expert or from news stories published on the Internet. In general, in order to prevail in these kinds of cases, the plaintiff needs to establish that the K9 handler of the dog lost control of the dog and this allowed the dog to bite excessively. This makes sense from an animal behavior perspective. For example, when deployed in the field for suspect apprehension my opinion is that police dogs are eager to attack, motivationally they are “souped-up”, and once an attack starts it is often very difficult to stop. I am convinced that plaintiff attorneys would benefit greatly if they used an animal behavior expert to render testimony that many police canines are inherently dangerous and that when deployed in the field these kind of dogs are prone to behavioral error. Lawsuits against police departments because the victim’s civil rights were violated. One way in which this happens is through the deployment of the police K-9 who excessively bites a person during suspect apprehension. Nonetheless, Lawsuits against police K-9 departments and their handlers are difficult to win. One reason for this is because the police K-9 handler may not represent accurately what happened during any given incident. Another reason is that the plaintiffs who file lawsuits are often minorities and these people may not present themselves well before a jury. 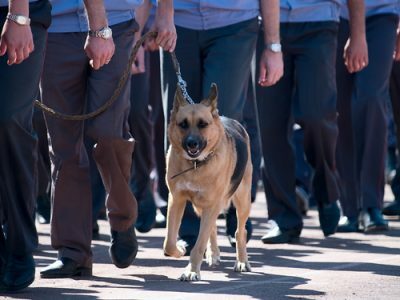 Police departments vigorously defend their canine handlers and their partners. Animal behavior issues in police dog bite lawsuits often involve issues dealing with the so-called the bite and hold technique. In other instances, animal behavior issues related to the lack of control the handler had over his dog or that the police K-9 did not possess the proper temperament for subject apprehension. 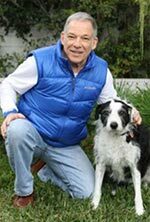 A settlement was reached in California for $1.5 million resulting from an attack by a Belgian Malinois on an 89-year-old man. The canine located and severely attacked a man sleeping underneath a bush. The dog had been deployed to search for a suspect who had just robbed a 7-Eleven store. The police K-9 apprehended an innocent bystander. The man was severely injured and about three weeks later died in hospital possibly as a result of the injuries he sustained in the dog attack. I was involved in this case is a dog bite expert. The evidence clearly showed that the K9 handler lost control of his K-9 “partner” thereby giving rise to this unfortunate incident. In another California lawsuit, and man was stopped by police and questioned. However, shortly thereafter a confrontation broke out between the cops and the suspect. A police K-9 was called for backup support. When the K-9 arrived, the handler stated that he warned the suspect that the dog would be released. After the dog was released, it continued its attack on the man for over 60 seconds. Police justified the duration of the attack because the man continued to struggle. Alternatively, my expert opinion is that K-9 handler lost control over his dog thereby making it difficult to stop the attack by the dog. Alternatively, it is not unreasonable to think that the K-9 handler intentionally let the attack continue. The man was severely injured. This case settled for $145,000. Counsel for the plaintiff told me that the case settled only at the insistence of the plaintiff. In Lodi, California, a police canine jumped out of the patrol car and attacked a man who was just arrested. The police chief described the incident as an “accident”. This was no accident, however. It is clear to me that this was a dog who had an eagerness to attack after being brought into a field situation The lawsuit settled for $225,000. A lawsuit was filed against the city of San Diego for the use of excessive force. The fact pattern was as follows: The plaintiff had fallen asleep on the couch in the office suite where she worked in downtown San Diego. The police were called to the office building because a burglary alarm had sounded. The police entered the office building led by their canine. The canine under the handler’s instructions began to search the building and eventually found the plaintiff sleeping on the couch. The police dog inflicted a single bite on her lip The handler called the dog off after quickly realizing she was not the robbery suspect. The plaintiff sued claiming excessive force but subsequently, the court granted summary judgment in favor of the city of San Diego. However, the Ninth Circuit in California in 2016 overturned this decision. The appellate ruling was that given the circumstances present at the time of the incident excessive force was applied to the victim by the police K-9. In another lawsuit filed against the City of San Diego for wrongful death, the police shot and killed a mentally ill man. A resident who lived with a man summoned police because he was acting erratically. When police arrived the man became combative and he tried to stab the police K-9 with a pair of scissors. The police shot and killed the man in defense of their dog. The case went to trial and a defense verdict was rendered. A defense verdict was also rendered in a federal lawsuit filed in Camden County, New Jersey. The lawsuit alleged that excessive force was applied to the plaintiff as a result of an incident involving a police dog from the Atlantic City Police Department. The plaintiff was accused of snatching a purse from a lady at a casino on the Boardwalk. Police went looking for the suspect and found the plaintiff in an alleyway. He had already ditched the purse. A police dog was called in for backup. After the police dog arrived, versions of events differ considerably between the suspect and the police. The police claimed the suspect was combative and therefore they were justified in releasing the dog. The attack continued for over a minute, well beyond the time needed to apprehend the suspect. My expert opinion was that the police were unable to stop the attack in a timely manner because of the nature of this dog or because they intentionally let the attack continue. A trial, the suspect testified that he had surrendered and was cooperative. A jury narrowly acquitted the police department of excessive force. In South-central Los Angeles a lawsuit proceeded to a jury trial in federal court because of the allegations of excessive force by the Los Angeles County Sheriff’s Department. In this instance, a police K-9 was deployed to search for a suspect in an attempted car theft. The canine found the suspect hiding underneath another car about a half a mile away. The versions of the police and the plaintiff differed as to what happened next. The plaintiff claimed that he surrendered and voluntarily came out from underneath the car. In contrast, the police version was that the police dog dragged the man into the open from underneath the car and continue to bite him after he was clear of the car. I testified in this case and part of my opinion was that from an animal behavior perspective it would have been impossible for this dog to drag the suspect into the open from underneath the car. And after the suspect was in the open the attack by the dog on the victim lasted over a minute, despite the presence of about four cops immediately in the presence of the victim. The plaintiff argued that there was no need to release the dog on the suspect because he had surrendered after crowing out voluntarily from underneath the car. At trial, I believe the police lied about how the version happened. Not surprisingly, the jury rendered a verdict in favor of the defense. In Lakewood, Washington in 2011, a police canine attacked an innocent bystander taking a walk. The case settled for $225,000 in 2014. Discovery showed that the police K-9 involved in this incident had previously attacked other innocent bystanders. from an animal behavior perspective, this K9 should never have been in service to apprehend suspects.